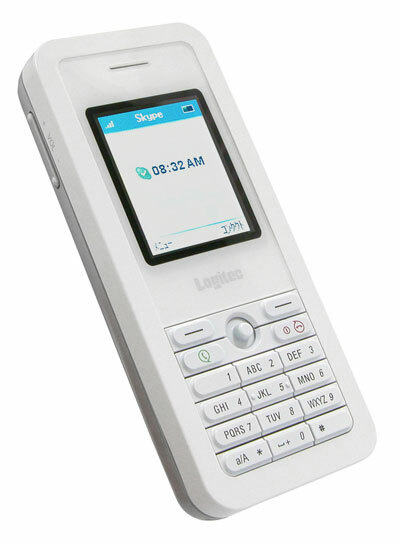 Logitec’s latest Skype-toting pseudo-phone to be released in Japan stands more chance of success than most, as it comes as part of a deal with one of Tokyo’s largest Wi-Fi hotspot operators. The ¥25,100 802.11b/g handset weighs 104g, has a 1.8in color screen and a USB rechargeable (and replaceable) battery that provides three hours of talk time. On the downside, it has been dubbed the LAN-WSPH01WH by someone with a total flair/commonsense bypass. More positively, it’s being sold to run on the Wi-Fi network maintained by Livedoor Wireless, which covers a fair chunk of the capital. Livedoor, better known for its recent financial scandals, has a wireless network that subscribers to its ISP can use for free. Best of all, it’s bigger than Godzilla and covers 80 percent of the area within Tokyo’s Yamanote train line. If that means nothing to you, think of it as the M25 is to London. In other words, it’s a sizeable area that’s not to be sniffed at, so the regular phone networks will need to keep looking over their shoulders lest Wi-Fi phones one day develop a decent battery life.